If you think you have been injured as a result of medical negligence and have questions about your case, check out these medical malpractice FAQs or call us. Be the cause of some type of preventable malpractice or medical negligence. When any type of medical negligence or malpractice has contributed to people’s injuries, these people will likely have a legal claim and can obtain the compensation they need and deserve by pursuing a medical malpractice lawsuit against the negligent parties. In this article we’ll answer some questions that commonly arise when people have been injured by malpractice and are considering moving forward with a lawsuit. While the information provided in this blog is general in nature, you can get more specific info about your situation, rights and case by contacting the experienced Portland medical malpractice lawyers at the Savage Law Firm today. 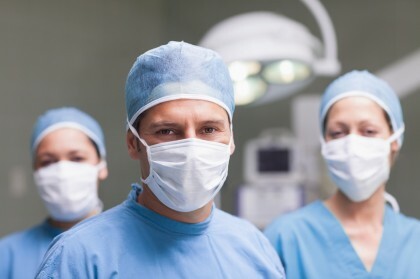 Q: What kinds of medical mistakes can be the basis of malpractice lawsuits? Anesthesia and medication errors, including prescribing or administering the wrong types (or amounts) of medications for patients, based on their medical needs and history. Medical mistakes can come in a number of other forms, as well, so it’s critical that you consult with one of the Portland malpractice attorneys at the Savage Law Firm for a thorough case evaluation if you believe that you’ve been hurt by any type of medical negligence. Q: What if a nurse made the medical mistakes? Is this still a malpractice case? It’s also important to point out that the medical facilities that employ negligent medical professionals can, in some cases, also be held accountable in malpractice lawsuits. For instance, if a hospital nurse’s negligence hurt someone, the nurse – and the hospital that employs that nurse – can both be named as defendants in malpractice cases. Q: How long do I have to file a malpractice case? Are you wondering how much your medical malpractice lawsuit may be worth? If so, check out these malpractice lawsuit FAQs. Or contact us today. A: In Oregon, the statute of limitations for filing malpractice cases is two years. In other words, people with malpractice claims (i.e., injured patients) will have two years from the date on which they discovered they were injured to file a malpractice lawsuit against the negligent parties responsible for causing their injuries. In Washington, the statute of limitations for filing malpractice cases is three years. This means that, if people wait too long and try to file claims after the state of limitations has expired for their case, they can lose their claims to compensation. Therefore, it’s critical that people consult with the Portland malpractice lawyers at the Savage Law Firm as soon as possible when they suspect they’ve been injured by any type of medical negligence. Q: How long will it take to resolve a medical malpractice lawsuit? A: In short, it depends. Every malpractice case is different, and the details of a particular case will play a role in determining how long it takes to bring a specific case to a successful resolution. These cases can be complicated, especially when hospitals are named as defendants (and insurance companies get involved). They should not expect a quick resolution to these cases. The more desperate they are to settle their case, the more likely it may be that their compensation is affected (as defendants will try to low-ball settlement offers when they suspect people are desperate to resolve these cases). Q: How much is my medical malpractice lawsuit worth? Whether hospitals, clinics or other medical facilities also may have contributed to the negligence that injured a person. If you believe that you have a malpractice claim and would like some specific info regarding the value of your case, contact the Portland malpractice attorneys at the Savage Law Firm for a free, no obligations professional case assessment. Q: What type of evidence is important to my case? While these medical malpractice lawsuit FAQs are enlightening, contact our Portland malpractice lawyers for more specific info regarding your case. 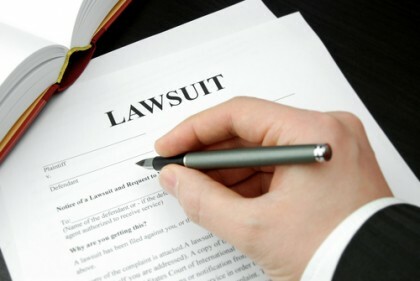 Q: Do I have to go to court to resolve my malpractice lawsuit? A: Maybe. How medical malpractice cases are resolved will depend on the specifics of the case, including who the defendants are and how willing they are (or are not) to acknowledge their negligence and appropriately compensate injured patients. When these parties put up a fight (which can be the case when hospitals and their insurance providers are trying to minimizing payouts to injured people, for example), seeing these cases through trial may be necessary to obtaining the full amount of compensation to which injured people are entitled. 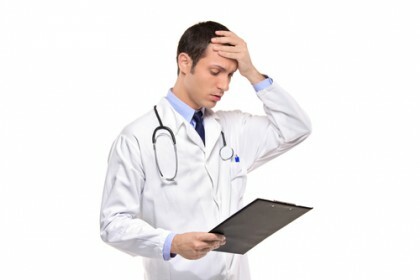 Q: How do I get my malpractice lawsuit started? A: Simply call us and attend a free initial consultation with one of our experienced and trusted Portland malpractice lawyers. We can immediately get your case started without any cost or additional effort from you. Because our attorneys have more than three decades of experience successfully resolving various types of medical malpractice cases for injured people, we have the resources and contacts necessary to build you the strongest possible case and help you resolve your malpractice lawsuit as favorably as possible. Have you been hurt due to the mistakes or negligence of some medical professional? If so, you can trust the Portland malpractice attorneys at the Savage Law Firm to help you obtain the compensation you likely deserve. Our lawyers have more than 30 years of experience successfully fighting for malpractice survivors’ rights and helping them hold negligent medical professionals accountable. We realize how devastating medical negligence can be, and our lawyers are here to aggressively defend injured people’s rights to both justice and compensation. While this means that our Portland malpractice lawyers will work diligently to help our clients tell their stories in court, it also means that our attorneys and dedicated staff will vigorously stand up to insurers and others outside of the courtroom to ensure that our clients are able to obtain the settlements they deserve.